‘Tis the season, especially here in B.C. where our geography affords us not only beauty, but beasts that may arrive in form of earthquakes, floods, landslides, tsunamis and wildfires. And while the ever-impending threat is a price residents are willing to pay proverbially, it’s not one they want literally. Today, Park Insurance is here to make sure you don’t pay the price in uninsured claims or otherwise. A little effort today can go a long way when it comes to preparing for any hazard that might befall your household. Let’s take a look at what you can do to keep safe. Greater Vancouver and Vancouver Island are at risk of an earthquake. In fact, two months ago a study by the University of Victoria identified a new active fault line. A significant earthquake is a near certainty in BC in the not-so far-off future. And while it may or may not be the “big one” that you’ve been hearing about for years, you want to be prepared. This includes educating your family with a readiness plan. This household education will address where to turn off gas and water mains and where everyone should convene (doorway, etc.) when the earth begins to shake. You should also include a plan of where to meet in the event that not everyone is home when it happens. Also take steps to earthquake proof your home. Strap the water heater and bolt shelving units to wall studs, and install latches on high cupboards. Brush up on earthquake insurance and tips to keeping your household safe from this rare but no less concerning threat. Heavy rains and overflowing waterways can cause residential flooding. Given the climate of the western coast of British Columbia water damage is certainly an impending threat. There are best-practices to apply here. On the outside of your home, inspect and repair (where applicable) your roof, chimney, and gutter system. Weatherproof the trim around windows and doors and have your exterior siding inspected for areas of concern. On the inside, consider investing in a sump pump with a generator to keep the threat of basement and foundation floodwater at bay. For a more detailed look at how to prevent water damage in and around your home, reference this infographic. There are some important and practical tips to preventing common households fires. However, when it comes to protecting your home from wildfires more investment is needed. Consider installing fire-resistant roofing and siding. If you are on the verge of building a home, find a builder that knows how to install insulated concrete forms (ICF) which are non-combustible and can withstand 50 lbs of TNT with a blast radius of just six feet. Measures you can apply today include keeping your entire property free from dry leaves and debris, in addition to trimming trees and bushes as far away from your property as possible. One conundrum of wildfire season is that it is brought on by droughts, which also results in municipal water regulations. However, if there is fire in the hills near your home, keep your lawn and soil around the foundation well-watered until the threat passes. B.C. is no stranger to impactful windstorms. Year after year provincial parks along with a slew of homes in wooded areas face the brunt of fallen trees and more. Sometimes the stories are very tragic. Once again, best-practices need to be applied. Remove old and suspect trees from your property. Cut limbs, branches, and bushes near roofing, electrical wiring, and windows, to a minimum of eight-feet away. Inspect and repair your shingles, gutters, and downspouts and stormproof your windows. Keep your eyes and ears on the local weather forecast and pay attention to wind predictions. When concerning winds are predicted (anything over 40 km/hr), secure and/or remove free standing items such as patio furniture and large yard toys. View more on these tips to keeping your household safe from damaging winds. An unfortunate side effect of natural hazards extends beyond what Mother Nature doles out. Among them may be opportunists with a bad agenda. During times of emergency the ill-intentioned may look to prey on unsuspecting homes, especially during a power outage. Follow these tips to crime-proofing your home which will not only serve you in the wake of a natural hazard, but all year long. In the same manner that you would join (or start) a neighborhood watch to abate crime, do so for scenarios regarding natural disasters and harsh weather. Getting to better know your neighbors will go a long way in creating a support system. In addition, attend town hall meetings and any community gathering where local infrastructure that can impact a neighborhood during hazards is discussed. Use technology to assist in this endeavor. For instance, create a social media alert system. This includes the use of Twitter and Facebook. Create a group within each of these tools, and invite each member of your established community to join. Make sure that everyone within the group is allowed to push-notifications to and from everyone in these groups. As soon as anyone within the community catches wind of an emergency situation, they should post on each group. Everyone within the group will receive a push-notification alert on their smartphone, tablet, and laptop/desktop which will allow them to take action. Together you and your neighbors can become the lifeline that keeps everyone safe during an emergency. There may not be such a thing as an “emergency preparedness professional”, but there is one field that certainly comes close. An independent insurance broker is the shoulder to lean on before the arrival of troubling times. They are unbiased yet fully versed in all things that can impact the safety of your entire household. These individuals already have your contingency plans in place through a full realm of policies that will check all of the above boxes. 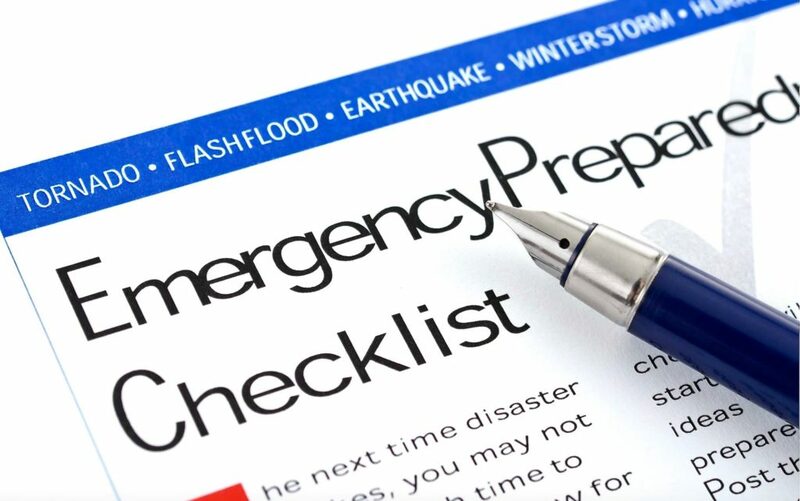 Check out these resources and then contact Park Insurance today to complete your emergency preparedness plan with optimal coverage for your unique needs as a B.C. resident. Our mission is to help our clients by providing protection against unforeseen events which threaten their financial well-being.